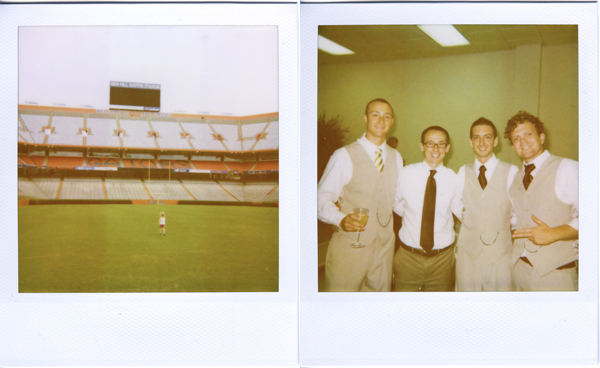 In honor of Polaroid Week, here are some shots I took with my old Polaroid OneStep 600 while we were in Gainesville for a good friend's wedding a couple weeks ago. 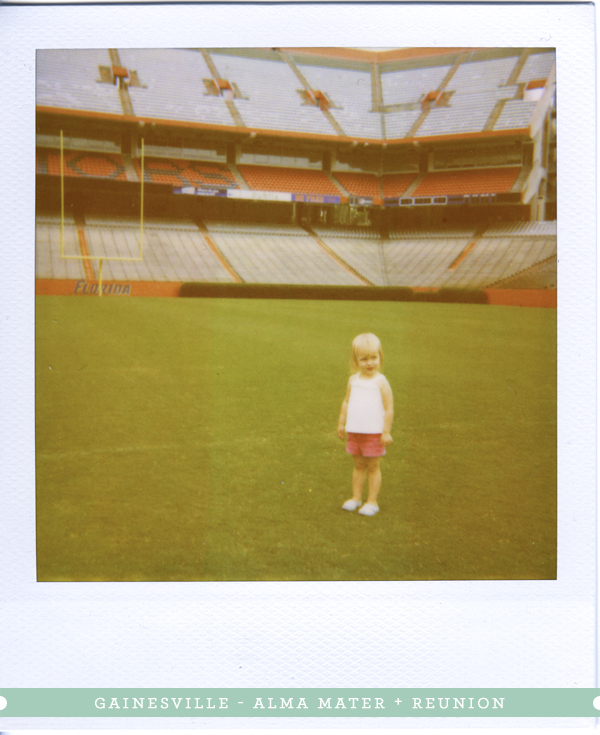 We showed Tova the field where the Gators (our alma mater) play. She was a little overwhelmed. The coolest part about this is the film is the last packet of Polaroid 600 film I bought before Pola quit making it. The prints were pretty greenish-brown, so I corrected for a bit of that in the scans. Now it's time to try out the Impossible Project's films. Note: Polaroid OneStep 600 with Polaroid 600 film. I am a participant in the Amazon Services LLC Associates Program, an affiliate advertising program designed to provide a means for me to earn fees by linking to Amazon.com and affiliated sites. Please know I only ever post links I personally support and think may add value to my readers.